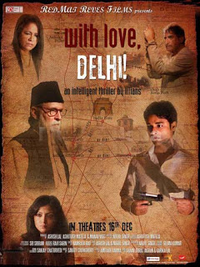 Review Summary: With Love Delhi might work in portions as a guide for tourists having an inclination to visit Delhi. As a film it needs to be remade with a better story again! With Love Delhi might work in portions as a guide for tourists having an inclination to visit Delhi. As a film it needs to be remade with a better story again!